Another Elon Musk Twitter exchange has piqued the interest of Australian engineers and the public, but this time it’s less about energy storage and more about transportation. Elon Musk famously built a giant Tesla battery in South Australia following a Twitter exchange, and now he’s once again become involved with another hypothetical Australian infrastructure project. This time, it involves one of his newer ventures, the wonderfully named Boring Company. 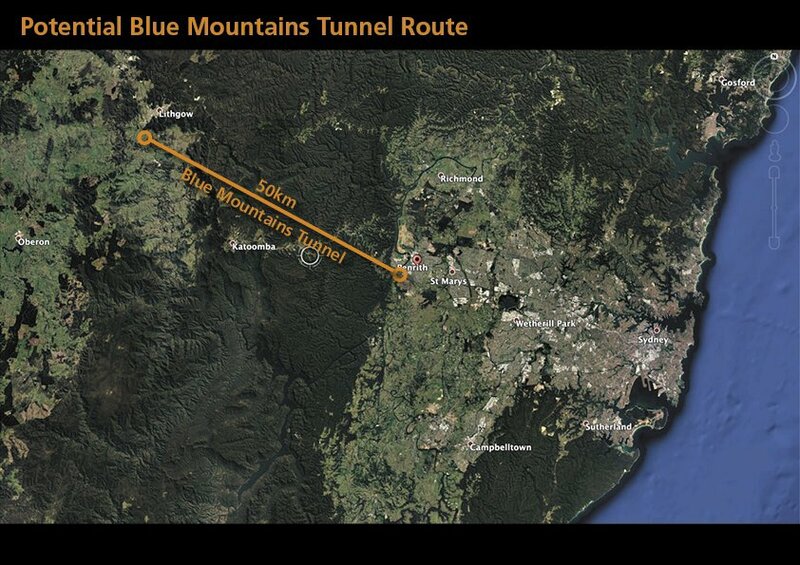 Independent NSW MP Jeremy Buckingham proposed a tunnel under the Blue Mountains to help solve Sydney’s traffic woes. He said Australia’s largest city is “choking with traffic”, and floated the idea of a 50 km tunnel connecting Penrith and Lithgow to help open up the state’s west. The cost? Around US$750 million at US$15 million per km, plus US$50 million per station, according to Musk. At this point the details are sketchy, but the tunnel would most likely operate similar to Musk’s Boring Company tunnel concept in Los Angeles and Chicago’s O’Hare Airport Express Loop. Cars would enter a station near Penrith or Lithgow and drive onto an electrically powered ‘sled’. A couple of hundred sleds would link together, and then passengers and vehicles would travel at speeds as high as 250 km/h, making Penrith to Lithgow an end-to-end trip of under 15 minutes. Given this, $750 million seems like an extremely low cost for a tunnelling project of this complexity. Current rates in Australia average between $40 million per kilometre to $100 million per kilometre. 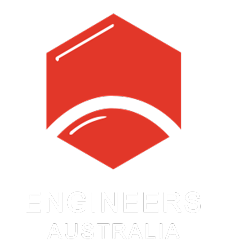 Harry Asche, Vice-Chair of the Australian Tunnelling Society, praised Musk for drawing attention to tunnelling as a viable transport option, as well as his innovative thinking. However, drilling into the details turned up more questions than answers. Unlike short and shallow city tunnels, the depth of a Blue Mountains tunnel would create expensive challenges. “This tunnel could be more than 600 metres deep,” said Asche, who has worked on projects including the Channel Tunnel in the United Kingdom, WestConnex 2 in Sydney and the West Gate Tunnel project in Melbourne. At that depth, rock squeezing and spalling would be expected, as would water loads “beyond the limit” of conventional segmental lining. As it’s not a rail tunnel, the diameter could be smaller, in the four to five metre range. But Asche speculated that having a single access point for a tunnel of this length (50 km) would slow down progress and increase costs as tunnel boring advances more than 5 km from the construction site. It’s also unclear what, exactly, Musk’s estimate includes. Asche said there is no mention of financial and legal costs, company overheads, risk allocation, contractual costs, design and property acquisition, not to mention profit. “For all of these reasons, we suspect that $15 million per kilometre is unlikely,” Asche said. He also questioned the tunnel’s potential capacity. 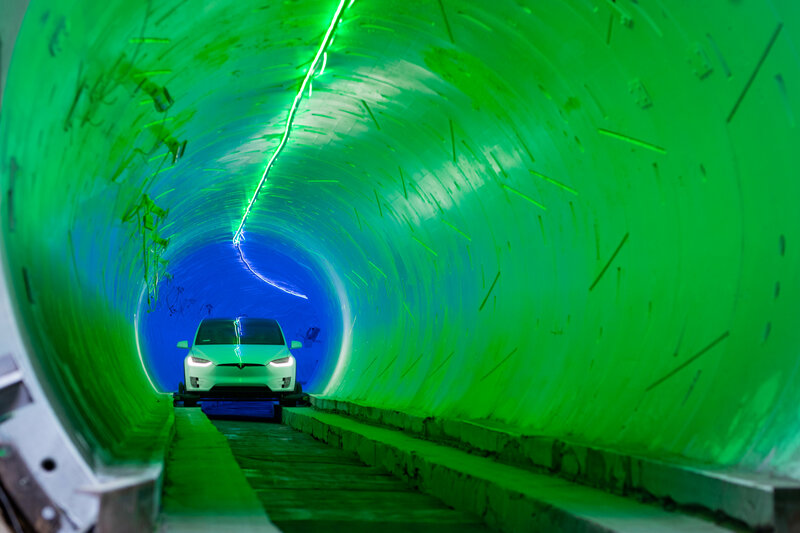 Based on the electric sled method, some back-of-the-envelope calculations put the tunnel’s capacity at about 800 vehicles per hour, “which is similar to a poorly performing road with one lane each way”, said Asche. The Sydney Harbour Tunnel, by comparison, carries more than 8000 vehicles per hour. “To get any reasonable capacity you would need two tunnels, but of course that would cost more,” Asche concluded. Even if the electric sled method were scrapped, for a Blue Mountains tunnel to achieve its goal of better connecting Sydney’s western suburbs, it would need to link with other transport methods. GHD Principal and Market Leader Transportation Mikel Alonso said tunnelling costs can be justified if projected outcomes for liveability, productivity and community growth are high. Developing western Sydney is of “national significance”, he said, as is connecting regional communities to employment, education and health precincts. “A system where users are transported between an origin and a destination needs to take into account the complexities connecting both ends, and the associated urban precinct and transport upgrades will need to be taken into account as part of the overall investment,” said Alonso, who has worked on the Melbourne Metro, London’s Crossrail and the Auckland City Rail Link. Potential Blue Mountains tunnel route between Penrith and Lithgow. In the case of the Blue Mountains tunnel, he said the argument for building this piece of infrastructure would need to be well defined, as would the ripple effects of such a project and possible alternatives. “We need to consider the impact of bypassing the small towns along the route in the Blue Mountains, the benefit of tying into the proposed Sydney Orbital bypass link on the western side of the city, further growth in the west — which could be closer to the western Sydney metropolis — as well as the economic viability of such a link on current transport demand,” Alonso said. Lack of detail and cost claims aside, both Asche and Alonso agreed the Blue Mountains tunnel scheme is a chance to explore opportunities for innovation in tunnelling technology. Asche welcomed debate with Elon Musk to expand on the idea, as well as other innovative thinking that could apply to tunnelling and transportation solutions. “He’s looking at a solution that’s not relying on technology from the last century, but bringing in some 21st century thinking. Tunnels are currently designed for petrol cars driven by humans,” Asche said. Tunnel boring machines (TBMs) continue to become more sophisticated and automated, Alonso said, and new advances in materials could see costs decline while the productivity and efficiency of tunnelling technology rises. Regardless of whether the Blue Mountains tunnel actually gets built, though, it’s sparked a conversation about what’s possible and encouraged people to think big. “A degree of hype is very important to help us challenge convention and make engineering and construction as attractive as they should be, and attract a diverse range of investment,” Alonso said.